I learned how to meditate 27 years ago. It changed my life completely. Prior to meditation, I had been unhealthy for several years suffering from a severe ulcer that was causing me a lot of pain. A friend suggested I learn how to meditate and also gave me a copy of Deepak Chopra’s book Perfect Health. sense of inner peace that has never left me. After meditating for only six months, I attended a month-long meditation demonstration. I was a part of the TM study done in 1993 in Washington DC. There was 6000 of us meditating for three months. http://www.nytimes.com/…/meditating-to-try-to-lower-crime-r…. It was the most magical and transformative time. It shaped the rest of my life and I am hugely grateful for the shape that it took. Because of this profound experience in silence, I realized then, at age 27, that all of the answers are in the silence. All the changes we need and want in the world have to take place in consciousness first and not the other way around. That doesn’t mean we don’t help when we see what is in front of us, it just means that we need to wake up inside first. So now, one of the most important things that I do and also my favorite thing is to share is meditation. I found yoga about two years after meditation rocked my world. I had only taken five yoga classes in my entire life when I signed up for my first yoga teacher training. I was blown away by the teacher and the style of yoga called Svaroopa that was like a meditation for the body. I attended Master Yoga Academy’s 30-day intensive yoga teacher training program in La Jolla, California in 1995. I continued to study with the founder of Master Yoga Academy Rama Berch, for about ten years. It was during that ten year period I lived in San Diego and also worked at the Chopra Center. In 2005 I traveled to India for the second time and decided I wanted to live there at least for part of the year. 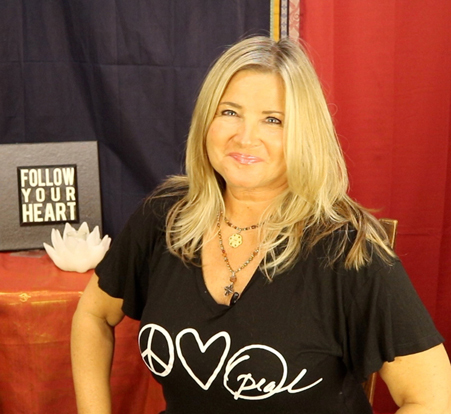 I left my job at the Chopra Center and started traveling and teaching all over the world. I had run the Chopra Center programs and so it was an easy transition for me to organize and lead retreats on my own. I love sharing yoga and meditation. It is my passion because it has shaped and permeated all of my life. I especially love teaching yoga in a gentle and easy way. I don’t understand people who sweat and work hard in yoga. To me Yoga is a work-in and not a workout. I took my next Yoga Teacher Training with Saul David Raye in Santa Monica, CA in 2006. I still try to make it out to California as often as I can to take a class or workshop with Saul. Meditation should be as easy as the breath you take. I can’t relate to those who think that sitting in meditation is like a torture chamber. My approach to yoga and meditation has always been ease. I figure life is hard enough and we have enough challenges that these tools should be easy and accessible. I have been listening to and attending at least annually, a week-long silent retreat with one of my other teachers Adyashanti. I can’t relate to those who think that sitting in meditation is like a torture chamber. For me my approach to yoga and meditation was always easy and gentle. I figure life is hard enough and we have enough challenges that these tools should be easy and accessible. 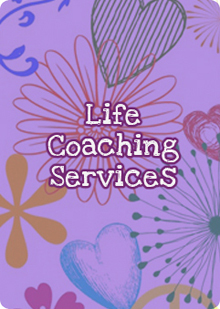 I have always been passionate about helping others find ease and happiness in their lives so it was a natural progression for me to become a life coach. I studied with Tony Robbins and was certified by his coaching organized called The Robbins Madanes training in 2010. The definition of bliss is to be happy without any outside influences. To have a sense of inner contentment and inner peace no matter what your outside circumstances. Sounds kind of hard to attain and even a little out of reach for the average person but we assure you, if you spend time on nurturing your inner world, you will experience this feeling of bliss. Blissed.com was actually created 20 years ago before high speed internet. We had yoga and meditation audios and videos online back in 1998! But very few people were able to access the videos and so blissed.com just sat for about the last 15 years waiting for high speed internet to become more available. Now is the time! With the popularity of social media, now seems to be the right time to once again offer yoga and meditation online so that anyone, anywhere can access these ancient powerful tools. Corrine has been practicing and teaching yoga and meditation for over 25 years. In 1998 she became the Founding owner of House of Bliss, a yoga/meditation studio in Nashville before moving to southern California in 2001. It was at that time that Corrine started working for Deepak Chopra at his world renowned Chopra Center in San Diego, California where she was involved in the development of the Chopra Center Yoga Certification program. Currently she is the founder of The Ivy House located in Nashville, Tennessee. Corrine has turned her home into a spiritual gathering place called The Ivy House where she shares private and community meditations, Yoga Trainings, Retreat days and much more. Her passion for sharing these tools that have shaped her life, was the seed for starting an online yoga and meditation space. She believes that yoga and meditation should be easy and accessible to any body anywhere in the world.